To create a brand for BP’s biennial international driving championship and to communicate the importance of the next event to top line management in order that they could convey the information downstream and encourage participation. An identifier was first created within the stringent restriction of BP’s corporate identity guidelines, positioning the new imagery alongside the BP identity. We then compiled an 8 minute digital presentation showing video footgae of previous events and heats. The footage captured the comeraderie, excitement and activities. 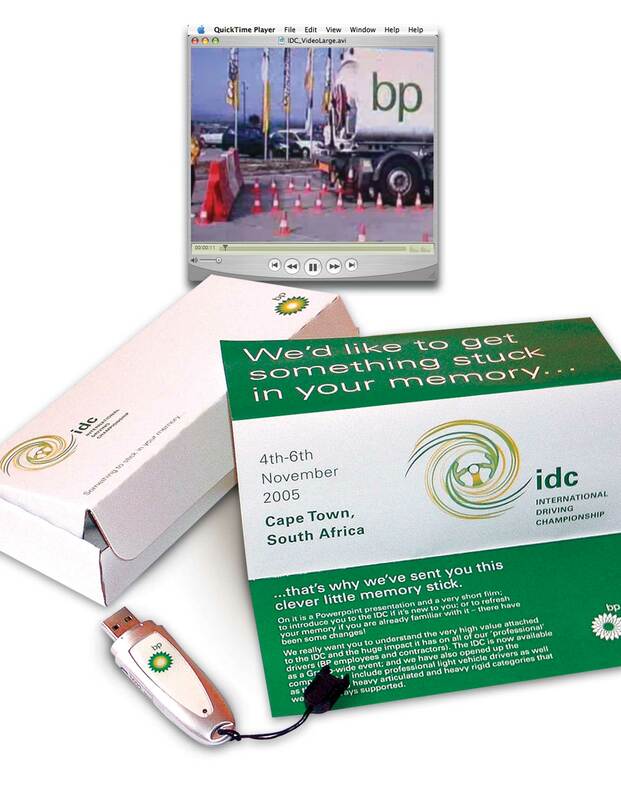 Mixed with animated graphics of the new brand and voiceover, this highlighted the calibre of the event and was neatly distributed on a branded, boxed memory stick as ‘something to stick in your memory’. This initial drive was backed up with additional support material shortly afterwards to raise awareness throughout the business. Gained brand recognition globally for the event which continues to brand the BP international driving championships.